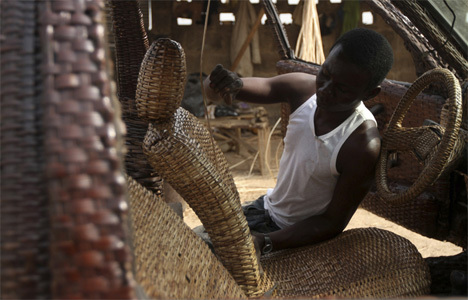 Nigerian weaver Ojo Obaniyi has been honing his craft for more than 20 years. 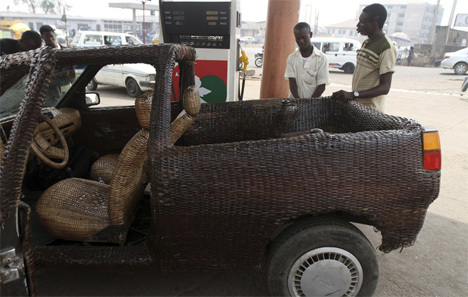 He usually sticks to baskets and other traditional objects, but he came up with an ingenious way to advertise his business: he made a wicker-covered car. 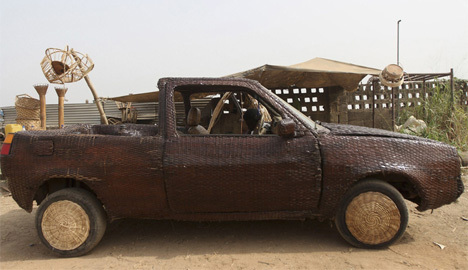 Ojo’s Volkswagen pickup is almost entirely covered in raffia palm cane. 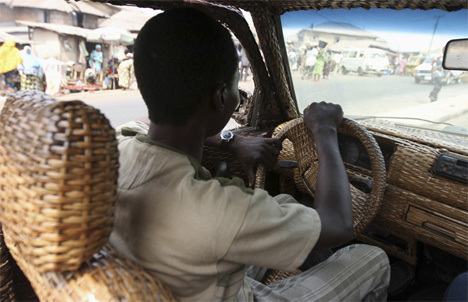 The car’s body, hubcaps, seats, dashboard and even the steering wheel are all covered in a finely woven layer of wicker. According to Ojo, his goal was to prove to the world that everyone can make a difference, no matter what their social class or background. The car is Ojo’s way of showing the entire world that African artisans are talented and creative and able to make a positive impact on society. 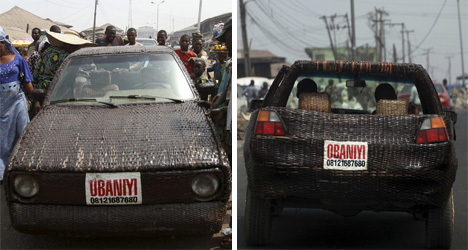 After the car’s completion, Ojo attached banners with his name and phone number to the front and back bumpers, giving him a rolling billboard that is also proof of how masterful he is at his craft. See more in Art Vehicles or under Transportation. February, 2013.